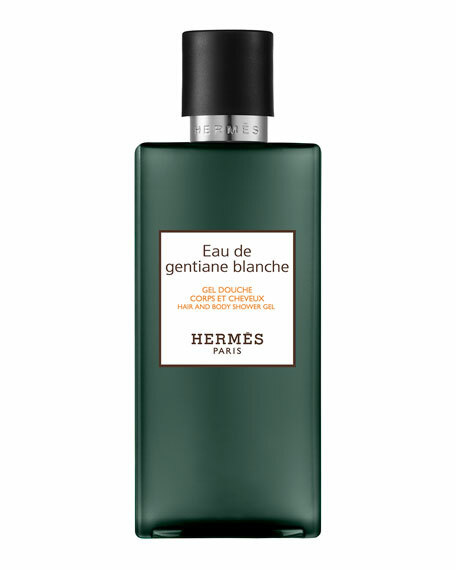 Conceived by Jean-Claude Ellena as an interpretation to act as a counterpoint to cologne style, Eau de Gentiane Blanche revisits the theme of freshness with spirit as well as delicacy. Complex and sophisticated gentian reveals its different facetssometimes bitter, sometimes smoothin an elegant vapour of white musks that achieve sweetness without facile sugariness, giving the gentian a completely original olfactory counterpoint. A hair and body formula that transforms into a fine and generous foam; easy to rinse. Delicately scented, the skin is soft, the hair is shiny. For in-store inquiries, use sku #585893.